Why not donate and help us grow! The hard work that was put into building our propagation tunnel in the Winter months has paid off and is now in full use. The raised bed is full of green manures and our benches are all equipped with heats mats to keep the optimum germination temperature of 18 degrees. Tomatoes, cucumber, beetroot, runner beans, kale, broccoli, winter cabbage and cauliflowers will all be planted in May. 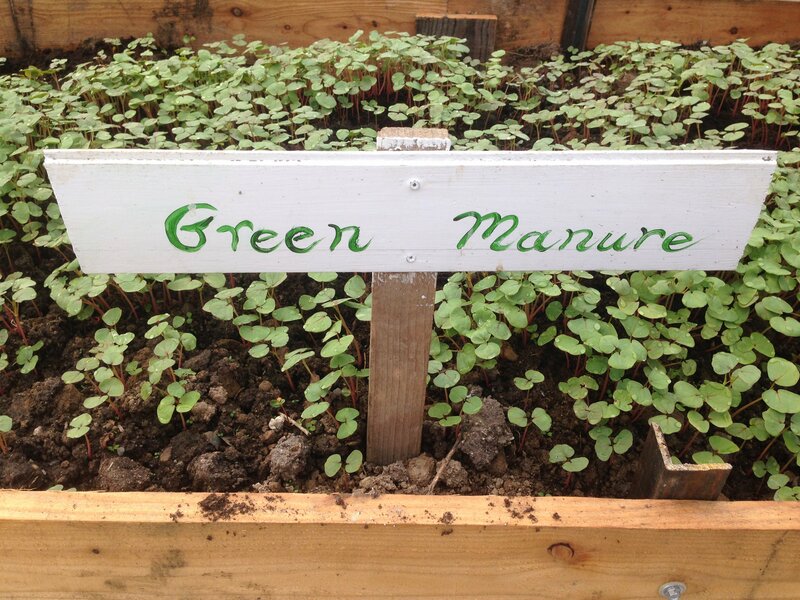 Now that the weather (fingers crossed) will be heating up May is one of the busiest times for our gardening staff. There will be constant potting on, pricking out, hardening off and planting outside. This year Biodiversity Week runs from 21st – 26th of May at Irish Seed Savers. There will be FREE ENTRY all week so please come and enjoy our beautiful organic seed gardens & heritage orchards. Each day (21st – 26th) we will have a FREE GUIDED TOUR from 11:30am – 12:30pm. In the orchards now’s an important time to look out for little insect pests such as aphids, midges and caterpillars – they can do a lot of damage to a young apple shoot if they are not noticed and knocked-off quickly. We spray the leaves with a preventative garlic-based deterrent and keep control flying insects with yellow sticky traps. Bullfinch’s do cause a bit of damage picking off the early apple tree blossoms. This month we are working with the grafted and budded trees. Their shoots are beginning to emerge so on a dry day we rub off or pinch out these new shoots in order to give preference to the grafted shoots. 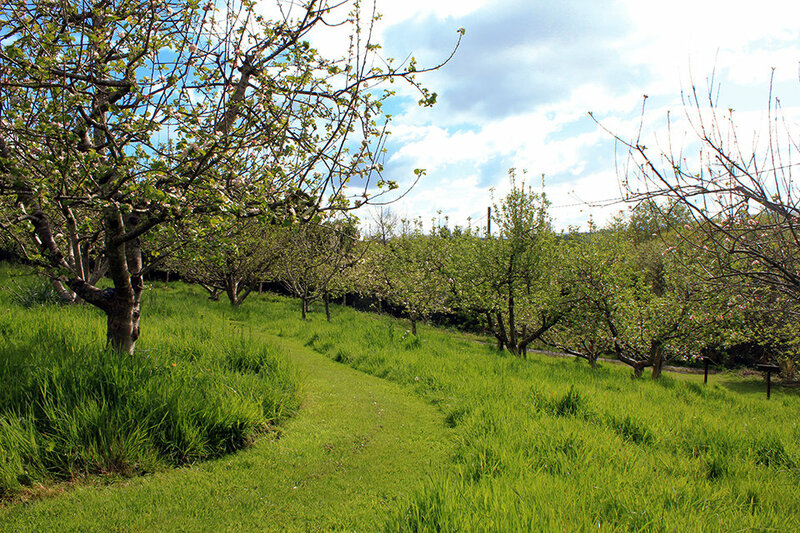 The grass is starting to shoot up now so we are keeping it under control around the base of the trees and we’ll be mowing all of the grass in the orchards over the coming weeks. This project is supported by the Department of Social Protection and Pobal through the Community Services Programme.